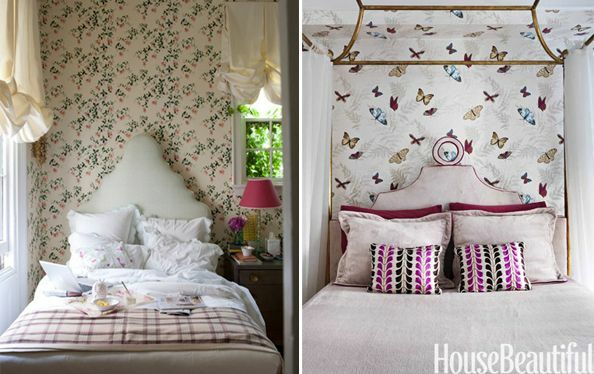 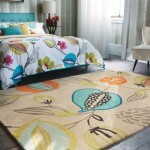 For a colourful look consider using small floral prints or these pretty butterfly motifs. 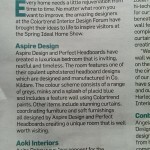 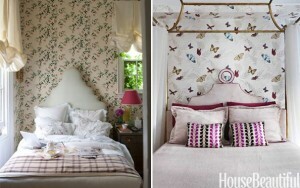 This striped wallpaper looks great and creates a fabulous backdrop for the deep buttoned headboard. 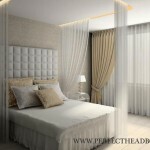 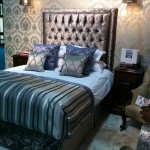 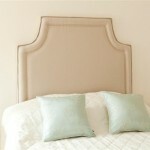 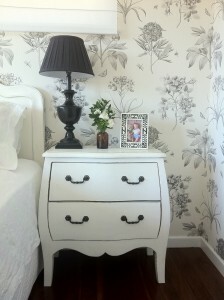 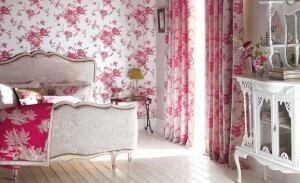 For a more feminine look Harlequins Elodie also looks fabulous as a focal point in this bedroom. Black and White is always guaranteed to make a statement…this Etchings wallpaper by Sanderson looks amazing with these pretty white bedside cabinets it this bedroom. 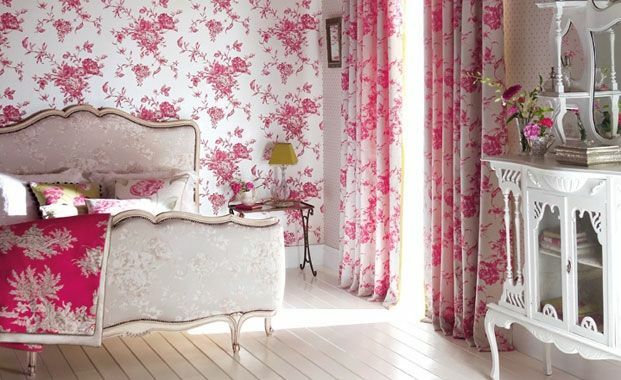 Do you love colour, then this could be the wallpaper for you…this stunning damask wallpaper from Harlequin makes an amazing focal point in this colourful bedroom.